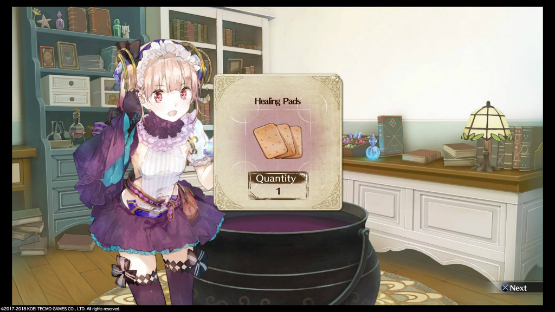 The Atelier series has, to me, always represented something of a middle-ground in JRPG development. Gust’s games are caught somewhere between being a tried-and-true anime adventure and a deconstruction of classic genre tropes, often in a way that sees the game’s message and delivery clashing with themselves. Which would you rather have: a sickly-sweet heroine in a fairy tale narrative or something sinister lurking beneath the pastels? Atelier Lydie & Suelle: The Alchemists and the Mysterious Paintings doesn’t beat around the bush; it has absolutely no interest in delivering something that makes you think about it once you’ve finished your stay in its extremely colorful world. While that initially made the game feel a little bit pointless, I’ve come around on it now that I’ve experienced it as a whole. There might not be a huge, philosophical concern at the center of everything that happens to Lydie and Suelle, but the fact is, there are enough games like that in existence today, especially when it comes to JRPGs. Sometimes it’s nice to just kick back, beat up some angry-looking mushrooms, and synthesize literal Liquid Gold that you can, but thanks to alchemy being commonplace, only sell for a small amount of money. World-building in Lydie & Suelle is one of its greatest strengths. The main quest hub city, the outskirts of the region it occupies, and the insides of character homes are all vibrant and ooze personality. While much of these visuals take cues from the one or two things that make each character different, the simplicity does nothing to prevent it from popping off the screen. Alt, the dark-and-brooding-type of the game’s protagonist crew, has a home that is overflowing with dusty tomes and tools of the occult. Just outside, the town bustles with the energy of a fairy tale, the notion that perhaps around one corner there might be a witch, around another, one of the girls’ Prince Charming. All of this sets the stage for the best aesthetic of all, however, in the form of the titular Mysterious Paintings. Lydie & Suelle discover early in the narrative that there are certain paintings, created by fellow alchemists, that house entire worlds inside them. A huge part of the game’s narrative centers around restoring and then exploring these paintings, and they allow for a lot of variance in what kind of environments the game can logically present. The very first world is reminiscent of Halloweentown, and the watercolor paints that dot the edges of the screen whenever the party enters a painting just adds to the feeling that you might be playing through art. While the paintings do fall into the trap of being the sort of defaults one might expect from a JRPG — ice cavern and lava world are two others — they make up for it in their presentation. 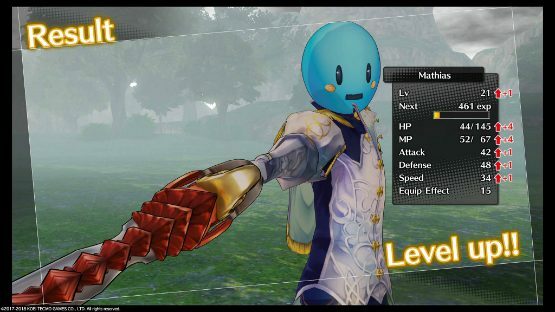 If you’re going to design a game that doesn’t do much to make players care about the characters, you’ve got to at least make them care about what they’re seeing and doing, and Gust succeeds. While Lydie and Suelle are so flat they wouldn’t be out of place in a Paper Mario title, there’s at least a fully-realized world surrounding them to get lost within. Like most Atelier titles, much of Lydie & Suelle centers around alchemy. 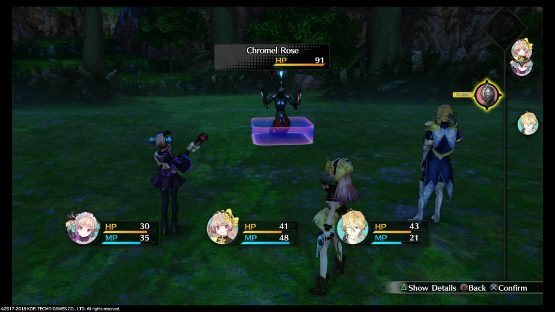 While there is combat, and the game doesn’t hesitate to provide powerful allies as the story unfolds, the two girls are not the greatest fighters in their own right. Instead, they gradually become better alchemists, gaining access to limited-use items that dramatically impact battles. It goes against the JRPG grain in the sense that these are not chosen one characters with the ability to do everything well, and it’s a deft hand that sees it become a great addition to the title rather than something of a nuisance. Chucking bombs at enemies is extremely satisfying, as is coming up with a recipe for an even cooler elemental bomb later. Alchemy is the core of the game, and it’s lucky then that it’s also the most compelling. I spent hours hunting down specific creatures to unlock new recipes, even if they were, on the surface, largely useless ones. Later, the game unlocks an ability to automatically refill the best bombs and other items you make, so you don’t even need to worry about running out of them so long as you leave one left in your inventory once an adventure is done. Creating higher quality versions of items is also strangely satisfying, alongside the weird, Tetris-like sub-game that comes along with it. It’s a grind, but it’s a lovely one. Where Atelier Lydie & Suelle: The Alchemists and the Mysterious Paintings falls apart is in all the needless fluff that surrounds it. There are too many pointless cutscenes with characters that are half-baked, interrupting the flow of an otherwise simple, concise game. The time system, which sees weather and hour of the day matter in terms of item and monster generation, is annoying rather than intuitive. Too many fun gameplay elements get introduced late into the game, with one such offence occurring nearly 15 hours into gameplay time. That’s just unforgivable — hiding key mechanics behind storyline progression feels silly, and the game suffers from this multiple times. I felt like I was playing pieces of a game once I realized what was missing initially, and I couldn’t help but feel as if some of my time was wasted. That’s a shame, but not because it isn’t true. This game is, without a doubt, a waste of time. Yet for the bulk of its offering, it has an immensely rewarding gameplay cycle that kept me coming back for more, and a world filled with color and music that washed away any lingering stress or anxiety. It might be killing time, but it’s killing it softly, in a way I was happy to endure. I just wish the game was more consistent with its offerings, rather than sporadically demonstrating sugar rush brilliance before the inevitable comedown of spending long minutes wandering aimlessly before realizing because it isn’t raining I can’t find what I need. Atelier Lydie & Suelle: The Alchemists and the Mysterious Paintings knows what it wants to be, and for the most part, it delivers. Those looking for style and substance will only find the former in abundance, but there’s just enough of the latter to keep Lydie and Suelle’s adventure interesting enough to explore deeper. Just don’t expect to become too invested in any of the game’s story or characters. For a world that’s built on the notion that the sum can be greater than the whole of its parts, Atelier Lydie & Suelle never becomes more than its addictive gameplay and two-dimensional protagonists, for better or for worse. Atelier Lydie & Suelle: The Alchemists and the Mysterious Paintings review code provided by Koei Tecmo. Version 1.00 reviewed on a PlayStation 4 Pro. For more information on scoring please see our review policy.